Dad never has to pick up dog poop. Ever. 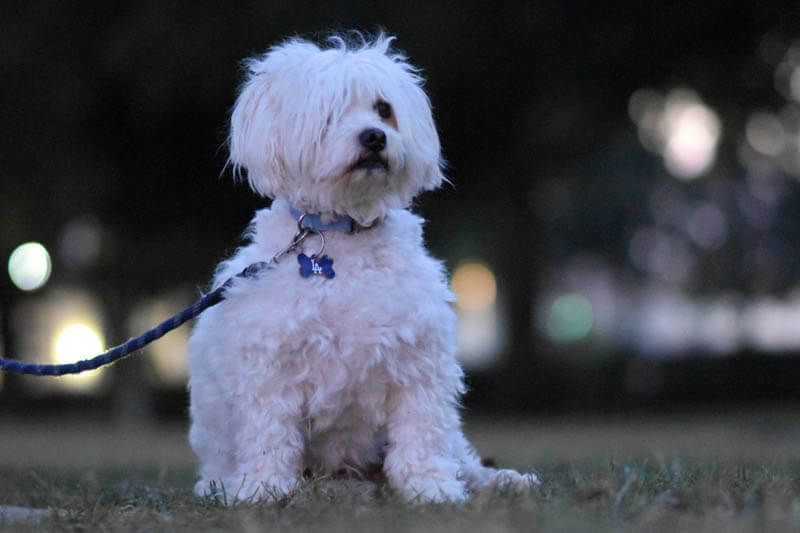 The dog’s poop is picked up at least 3 times per week by children to dad’s satisfaction. The dog does not slobber or have a runny nose. All parties agree that those kind of dogs are gross. 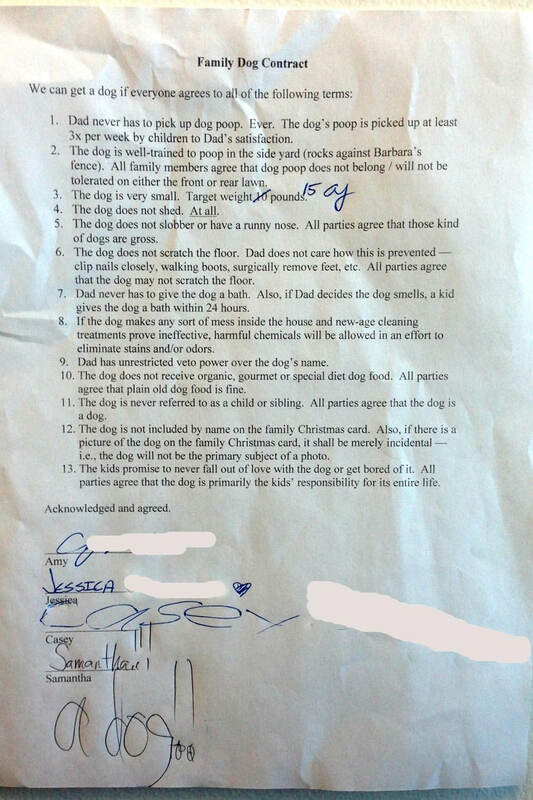 Dad has unrestricted veto power over the dog’s name. The dog is never referred to as a child or sibling. All parties agree that the dog is a dog. The dog does not receive organic, gourmet or special diet dog food. All parites agree that plain old dog food is fine. Two weeks after contract was signed, we got a ~three year old white fluffy mutt from a shelter that weighs 15 lbs., was already housetrained and doesn’t shed or drool. We named him Kershaw (veto power not exercised). It’s been two years, and the kids (now ages 12, 13 and 15) have been pretty good about doing everything. Kershaw eats dry dog food from Trader Joe’s, and so far hasn’t created any indoor messes that have required the use of harmful cleaning chemicals. Everyone (including Dad) adores the dog, which has been a fantastic addition to (though not member of) our family.